Hot on the heels of bringing The Muppets back into the public consciousness with a recent live concert series, The Hollywood Bowl is set to give California-based nostalgics another hit of their drug of choice. Per Stereogum, the venue has just announced a new concert based on the 1971 kids’ classic Willy Wonka And The Chocolate Factory, with John Stamos, “Weird Al” Yankovic, and Stranger Things’ Finn Wolfhard all signing on to offer up their versions of the movie’s songs. 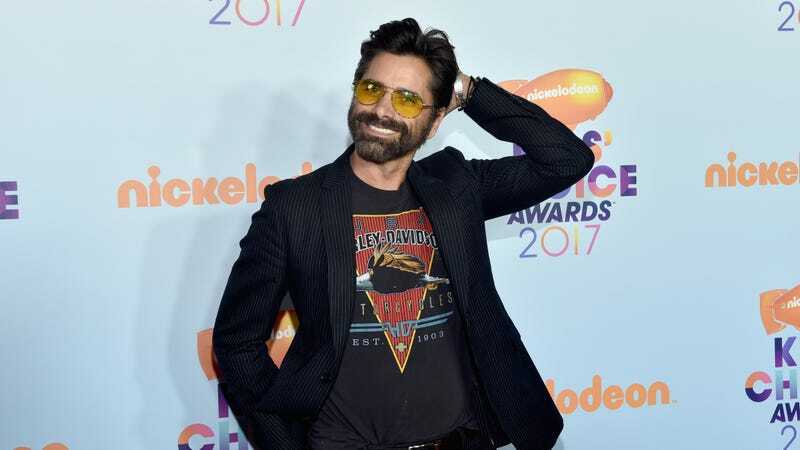 Stamos will play Wonka, lending his manic smile and big shiny teeth to a turn on “Pure Imagination.” Weird Al, meanwhile, will voice the Ooompa-Loompas, handing out rhyming life lessons to naughty children everywhere, and Wolfhard will play chocolate-hungry moppet Charlie Bucket himself. The shows will also feature Giancarlo Esposito on “Candy Man,” Richard Kind as Grandpa Joe, and Ingrid Michaelson as Mrs. Bucket, along with a selection of special guest performers showing up on different nights. The Bowl shows will run on November 3 and November 4, so if you’re the kind of person who isn’t sent immediately running into the hills by the phrase “John Stamos replaces Gene Wilder,” you might want to start making your travel plans now.